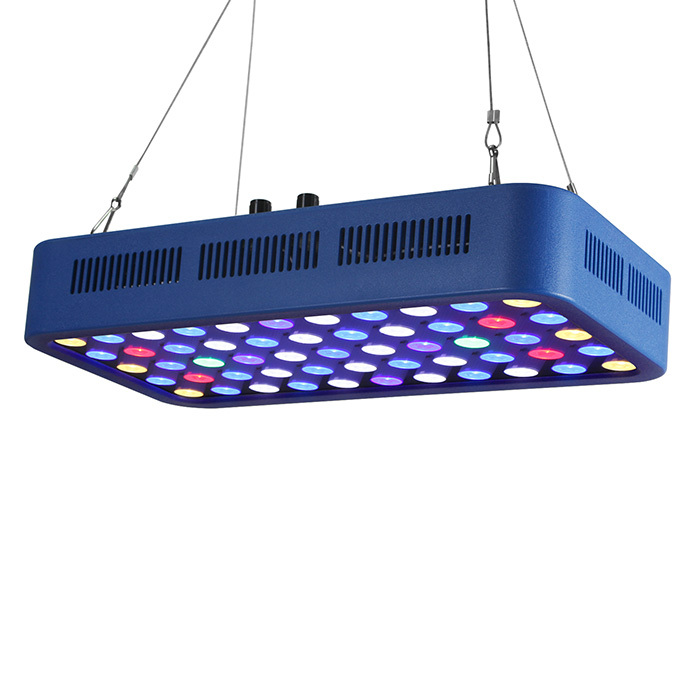 Good LED chips, use brand 3 W LED beads and durable acrylic – 99% light penetration, high brightness, high lumen (3700LM), high PAR Value. 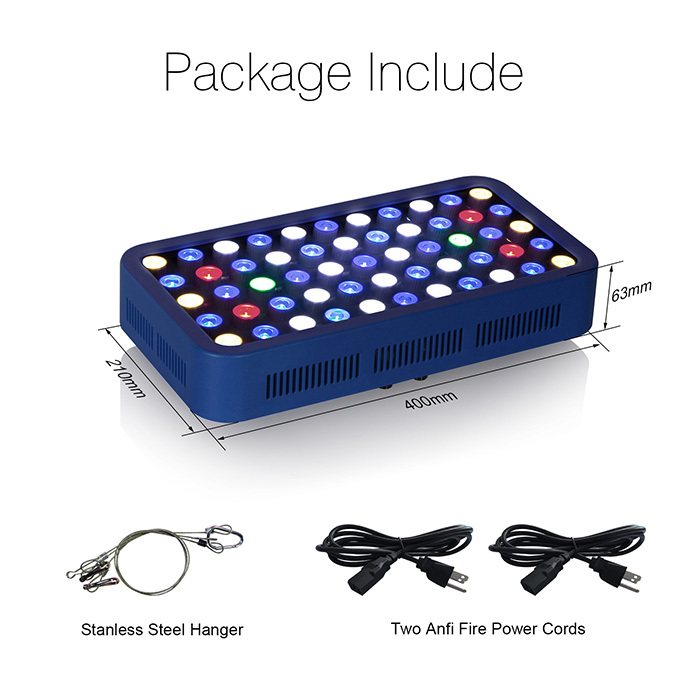 Professional light ratio, Blue Light increase plants and fish growth and make aquarium box bunt paired with white, red, green, Purpurrotem light. 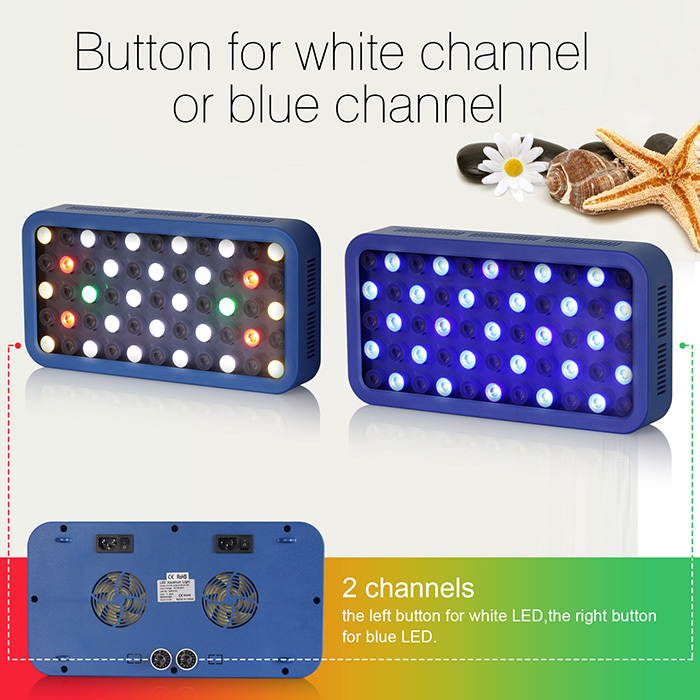 Two Dimmable Light channel, adjustable 0% – 100% light button, the light intensity free setting button white LED, left or right button blue LED. 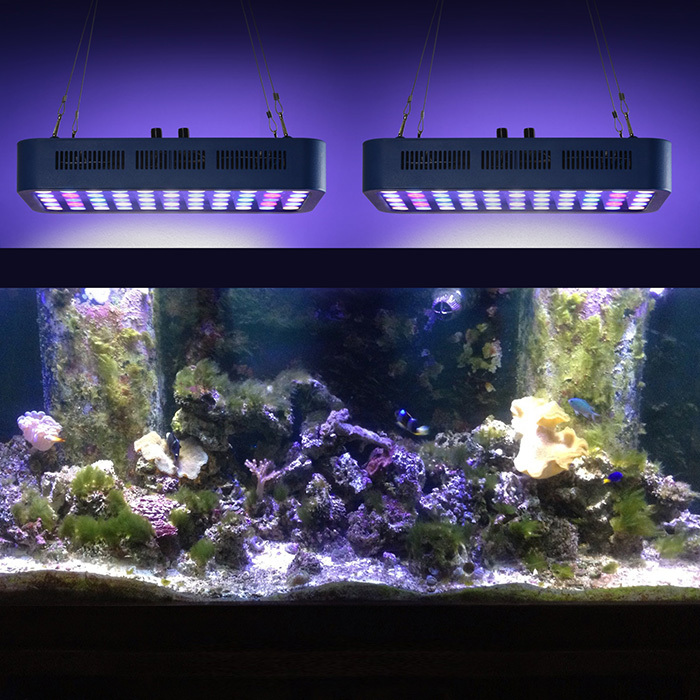 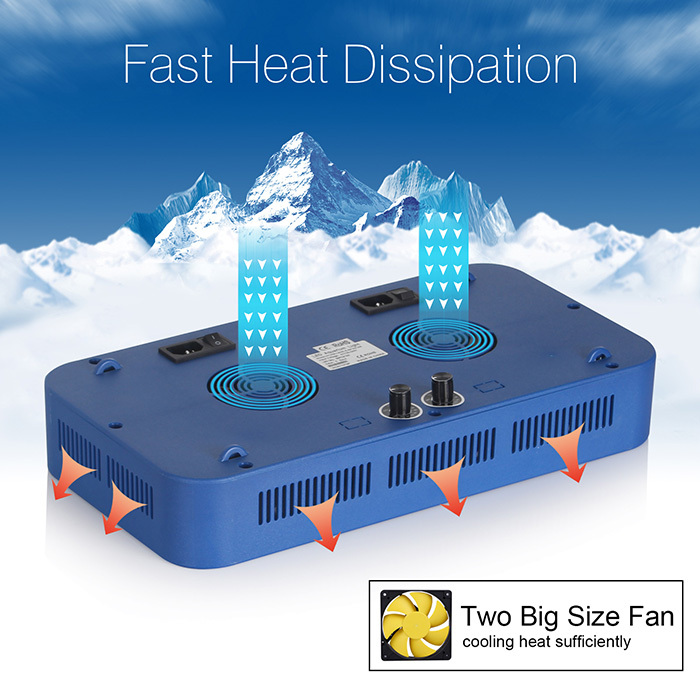 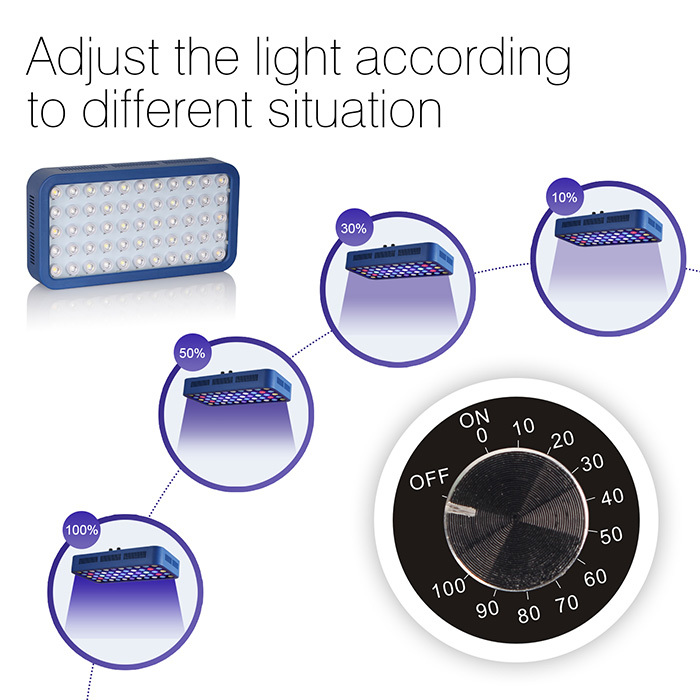 Quick cooling Fizienz to improve two UL certified fans, making it the hot air out of aquarium light – Lamp Work Performance, longer service life up to 30,000 hours. 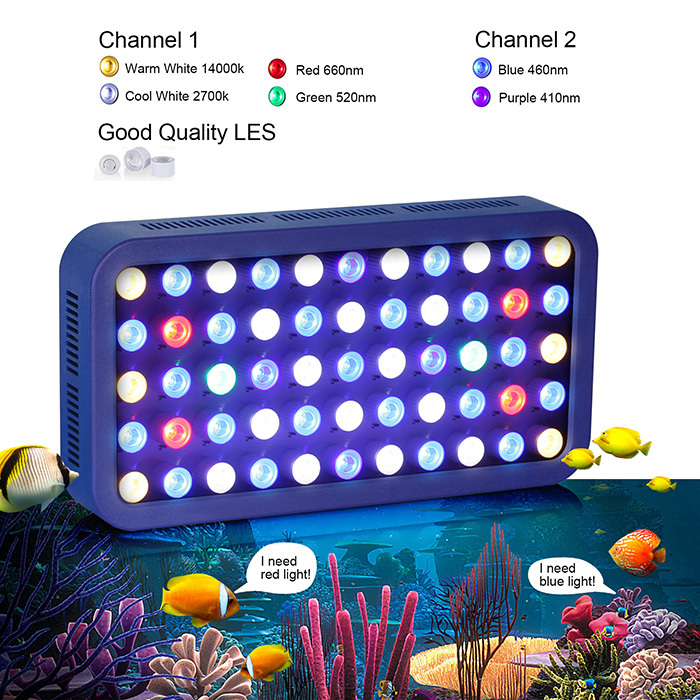 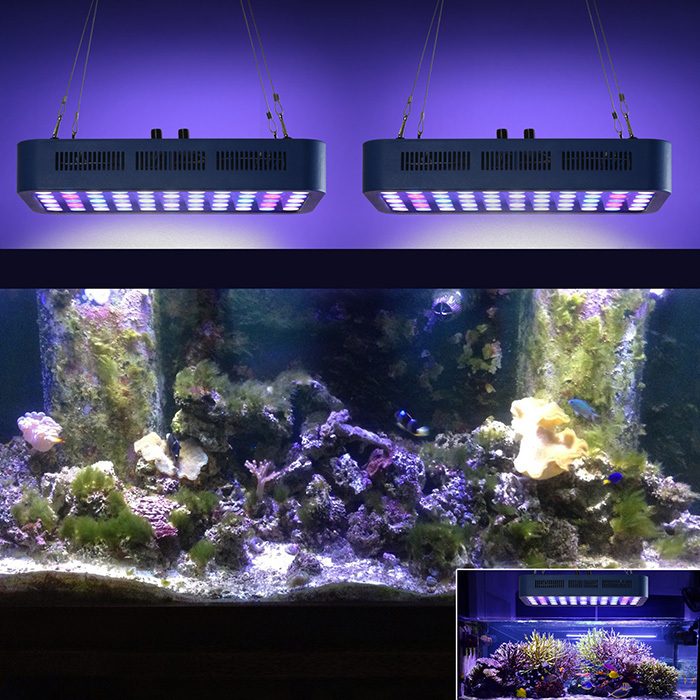 Can be used for containers 150L 280L; can be the 165 W Aquarium Plants lamp sun and imitate under the moonlight, fish and coral real Ocean environment will supply and your Nano fish container decorating with other methods.